With the 2018 National Championships only two weeks away, we are excited to introduce the U15 Boys BC teams who will be travelling to Toronto to take on the top teams from across the country. 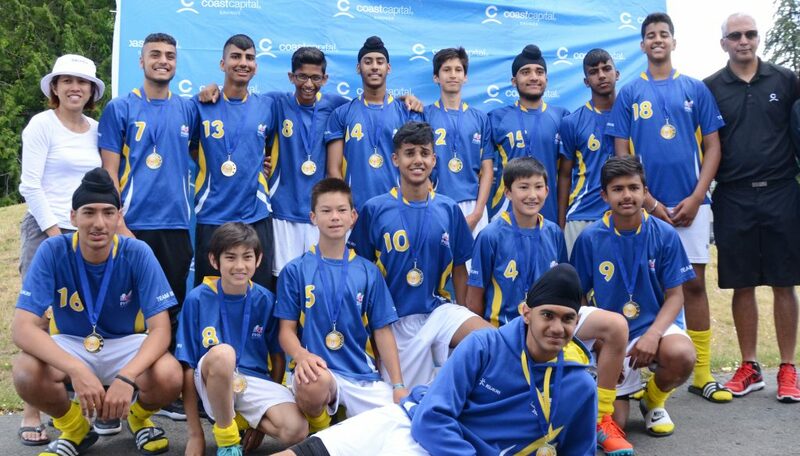 This year, BC will be sending two teams of 16 players each to the National Championships at the U15 Boys level. The BC Rams and the BC Lions are mostly made up of athletes from the Lower Mainland, with the exception of three players who have been travelling from Vancouver Island almost every weekend to train with their team. As the last few weekends of training wrap up and the teams prepare for Toronto, we got the chance to hear from U15 BC Lions athlete, Calder Wheatley, with regards to his experience in training at the Provincial level. Wheatley is in his second year as a member of the U15 BC Lions. As one of the U15 Boys Island athletes, the Provincial program is a rare opportunity for him to train exclusively with athletes of his age group. The boys field hockey community on Vancouver Island is quite small, therefore there is no club league at his age. Working with coaches Sujay Mehta and Graem D’Andrade, the U15 BC Lions are working on building up their team dynamic as well as individual skill sets leading into the National Championships. 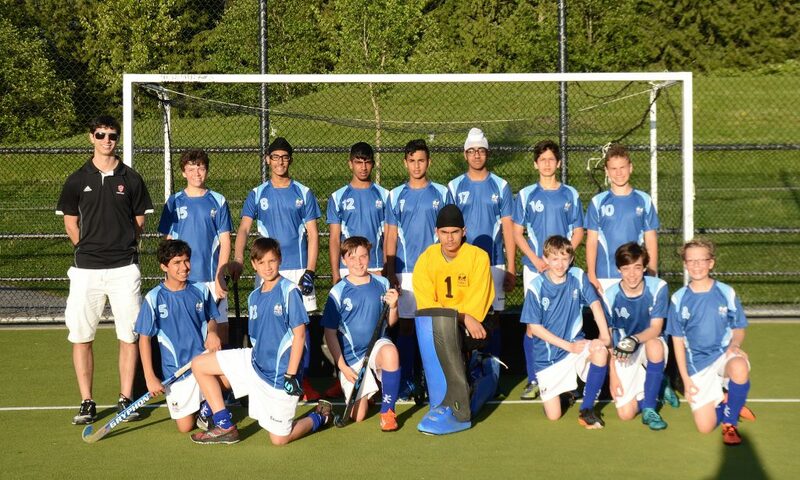 They had their first taste of competition this past weekend at the India Club Tournament, where they finished in fourth place in the U16 Boys division. The U15 BC Rams, led by head coach and Men’s National Team member Adrien D’Andrade, had a strong showing at the India Club Tournament. In a tight Championship match, the BC Rams came out on top with a 3-1 victory over the U16 India Club to take the gold medal. The Rams will be looking for a repeat performance after taking the gold medal at Nationals in 2017. With only one weekend of training to go, both teams are gearing up to play their best hockey on the National stage. 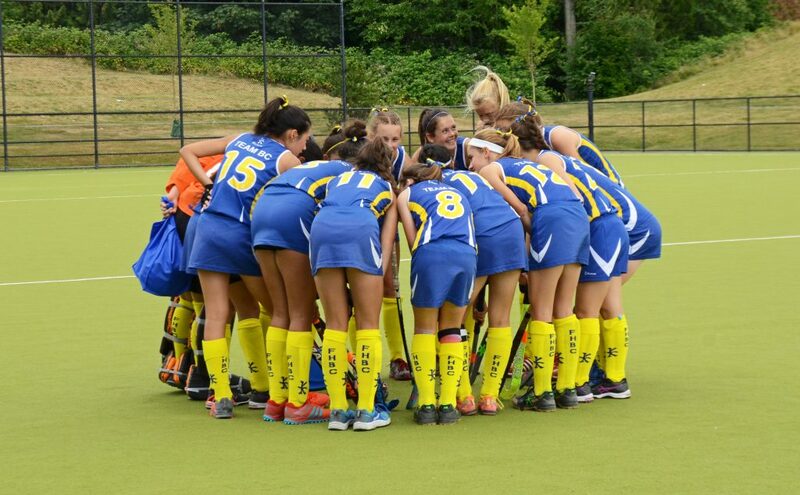 The U15 Girls BC Teams have been hard at work over the last six weeks as they prepare to take on the rest of the country at the National Championships in Toronto, Ontario. With Nationals only two weeks away, we had the opportunity to hear from BC Rams’ athletes Laine Delmotte and Savina Purewal with a look into Provincial training and the road to Nationals. 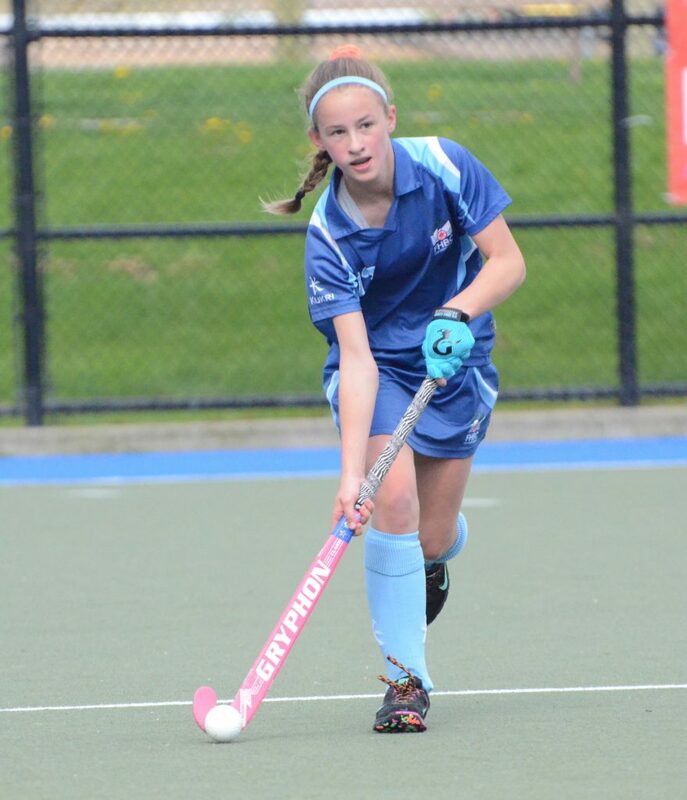 Delmotte, who has been training with the North Shore Academy for the last two years, is going into her second National Championships after finishing in fourth with the U15 BC White Lions last year. The BC Rams head coach, Jenn Beagan, is also Delmotte’s coach in the Academy Program. Jenn Beagan, head coach of the BC Rams. 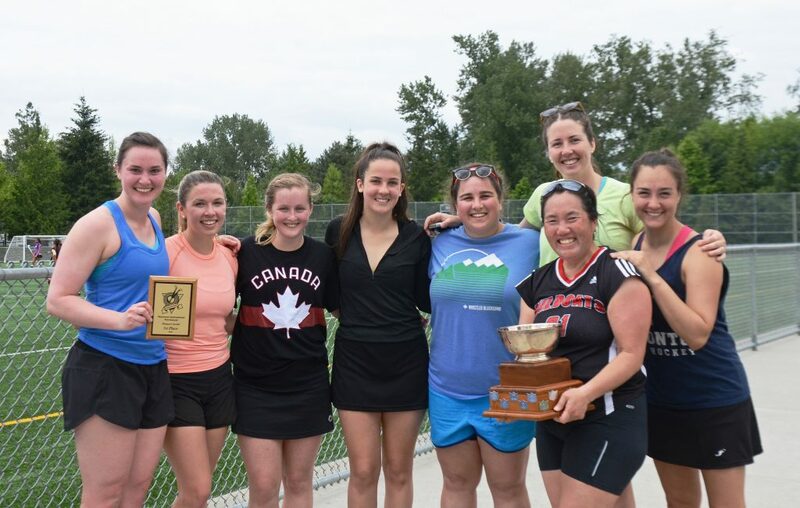 Beagan, in her second year coaching the U15 Girls BC Rams, led the team to a National Championship Gold medal last year. 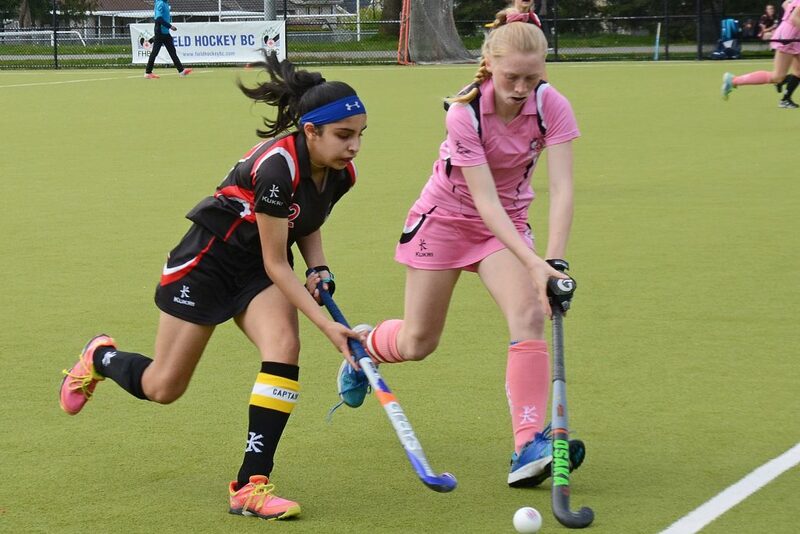 Savina Purewal is one of only two players from the 2017 U15 National Champions who will be returning to the same BC team this year. 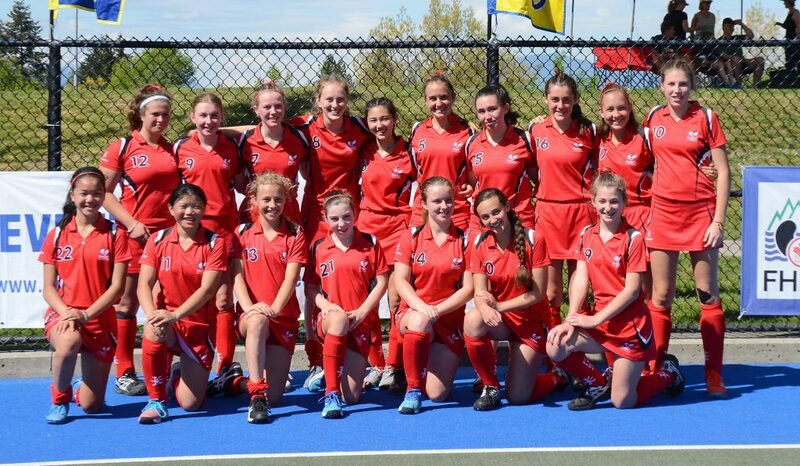 This year, the U15 Girls will be sending three BC Teams to the National Championships. The BC Rams are comprised of the top athletes from the Lower Mainland, the BC Stags are based on Vancouver Island, and the BC Lions have a range of athletes from all across the province, including the Island, the Interior and the Lower Mainland. Throughout their two month period of Provincial training between the Regional Festival and the National Championships, the U15 Girls BC Teams are training an average of four hours a week as a team with added fitness components during the week. Purewal and Delmotte describe their sessions as highly intense, with each session focused around specific skills and set team plays. The BC Rams and BC Lions got their first taste of in-game action this past weekend at the annual India Club Tournament in Surrey. Playing in the U17 Girls division, the teams had the added challenge of competing against older girls. The BC Lions had an exciting finish, with a shootout victory over SHC for the bronze medal. 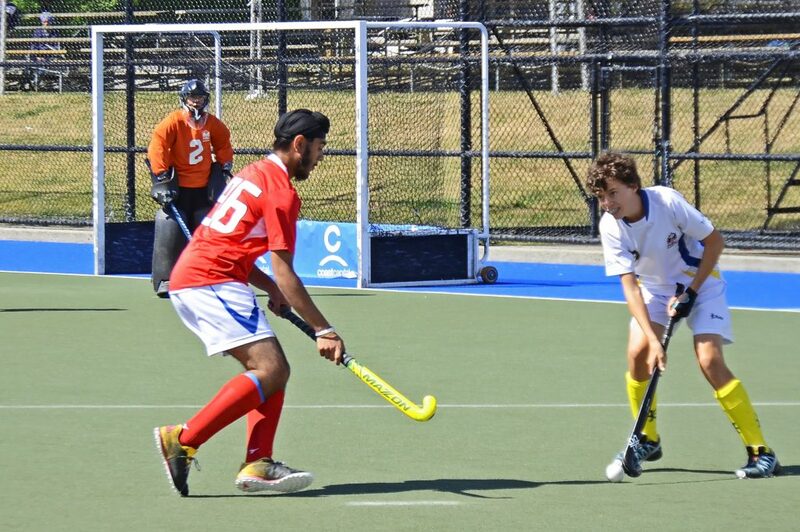 The shootout went into sudden death, where Navjot Mangat scored the game winner. 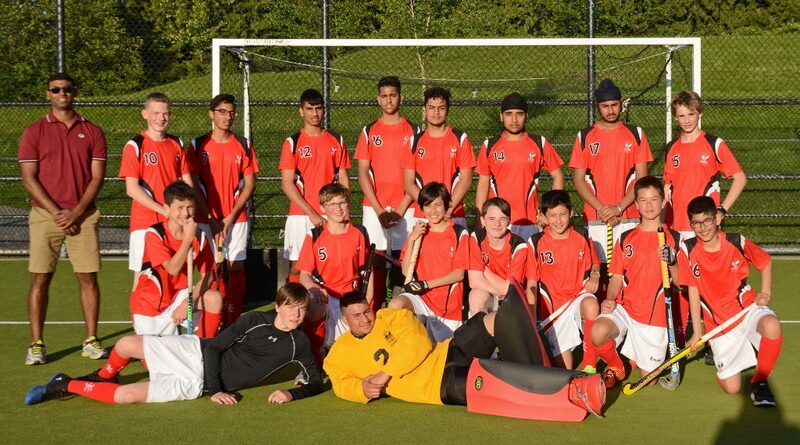 The U15 BC Rams came out on top with an exciting 1-0 win in the final against India Club. The Rams goal came in the dying minutes of the game, when Laine Delmotte got the ball off of a short corner and fed Taylor Katsube who buried it to give her team the victory. 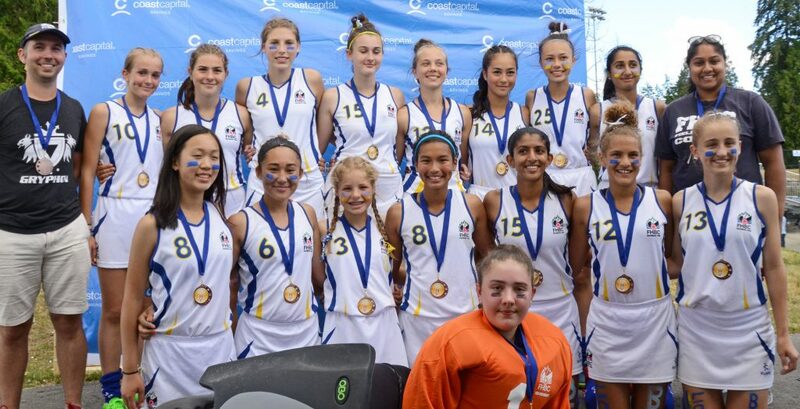 The U15 Girls BC teams will take on the rest of the country at the National Championships from July 12-16 at the University of Toronto, Ontario. Click here to visit the National Championships website. 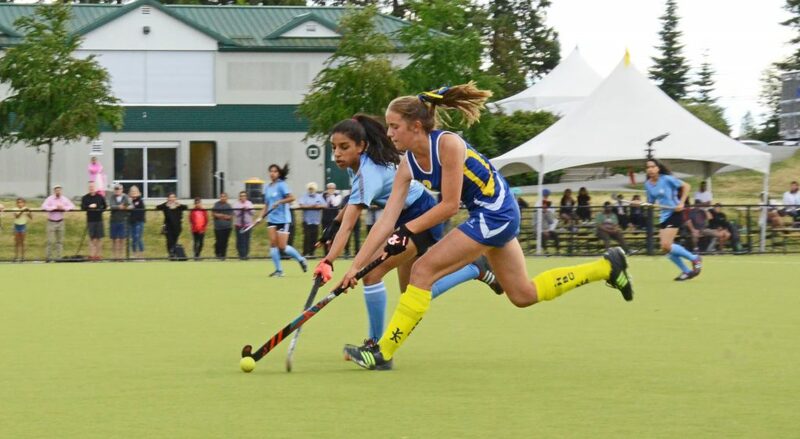 In this edition of the Provincial Pathway, Field Hockey BC had the opportunity to catch up with Rowan Childs and Gary Mann to discuss their Provincial training with the U18 BC Boys Rams. 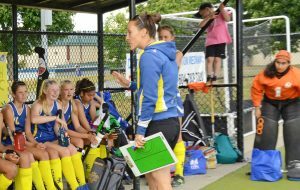 After a few weeks of training with the BC Rams, Childs and Mann describe their progress with the team, the structure of their training and their own personal experiences with the Field Hockey BC Provincial program. Click the video to learn more about these athletes on the road to Nationals! 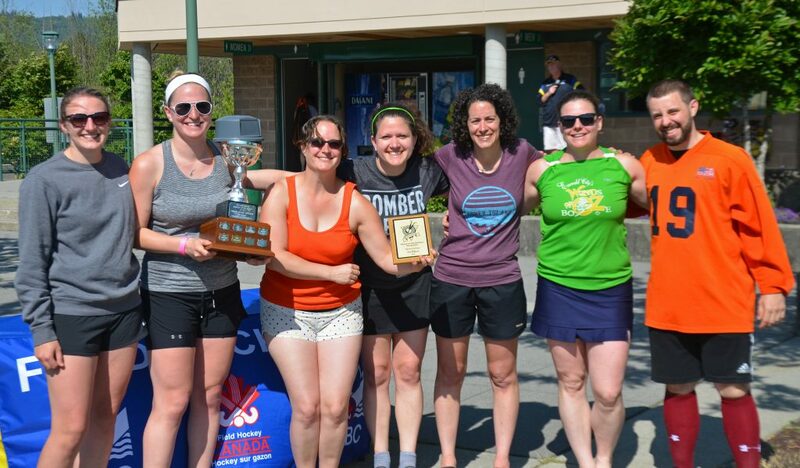 It was a great long weekend of hockey out at the Vancouver International Tournament May 19-21 at Burnaby Lake Sports Complex. Over the three day long weekend, we saw 22 teams across three divisions in action, with an age range over 5 decades! 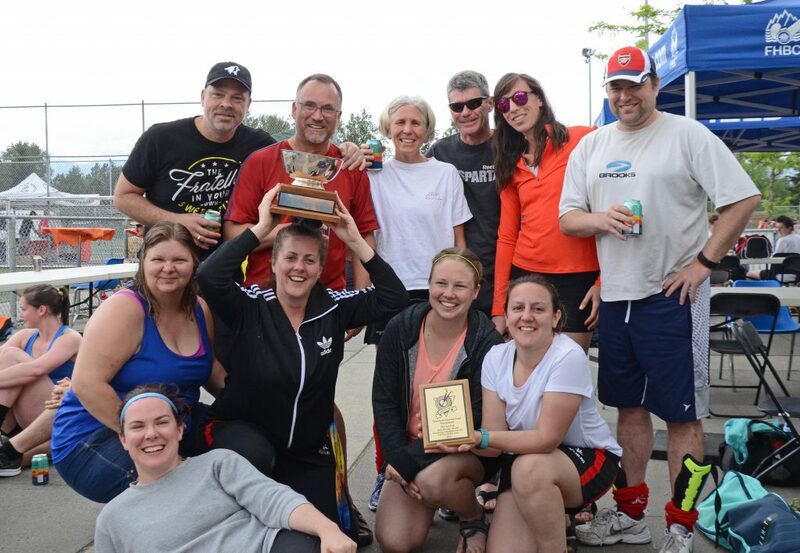 Field Hockey BC was thrilled to see such a fun and diverse group out playing the game and enjoying the atmosphere at the adult social event of the season. Thank you to all players, umpires and staff for making this event a resounding success. We can’t wait to see you all back out next year! A strong and steady defender and an explosive attacking midfielder, Calder Wheatley and Jagjot Hayer are both athletes to watch on the U15 Boys Provincial Teams. 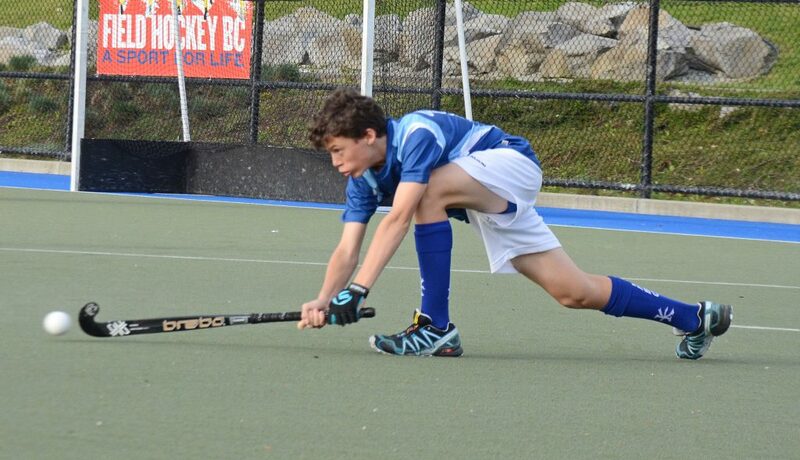 Calder Wheatley protected the Eagles defensive zone with speed, skill and composure at the Train 2 Train Festival, earning himself a spot on the U15 BC Boys Lions. Field hockey is a family affair for the 15 year-old Victoria native, as both of his parents and his younger brother also play, often as teammates. Without a U15 Boys Spring League in Victoria, Calder now plays on his dad’s men’s league team, the Victoria Rebels. Additionally, Calder and his 11 year-old brother Benjamin played on the same team for the first time at the Regional Festival this past weekend, with Benjamin competing in his first Regional tournament. Calder Wheatley in action at the 2018 Train 2 Train Regional Festival. This Provincial season will be Wheatley’s second year playing for Team BC, after competing at the National Championship with the U15 Boys Lions last July. 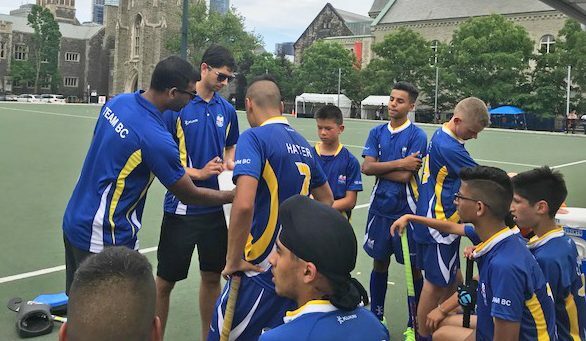 In his third year with the Regional Program, he has the added challenge of playing out of Victoria, where the boys field hockey community is significantly smaller than is it on the Lower Mainland. The Boys Regional Program on the island was bigger than it had been in past years, as the U15 and U18 boys all played together and they also accepted younger players to participate, including Calder’s 11 year-old brother Benjamin. However, the small group of Vancouver Island boys have the obstacle of coming over and playing with boys who have been training together all season in their Regional Program. Calder Wheatley – back row second from the left – with his Train 2 Train Regional Team, the Eagles. 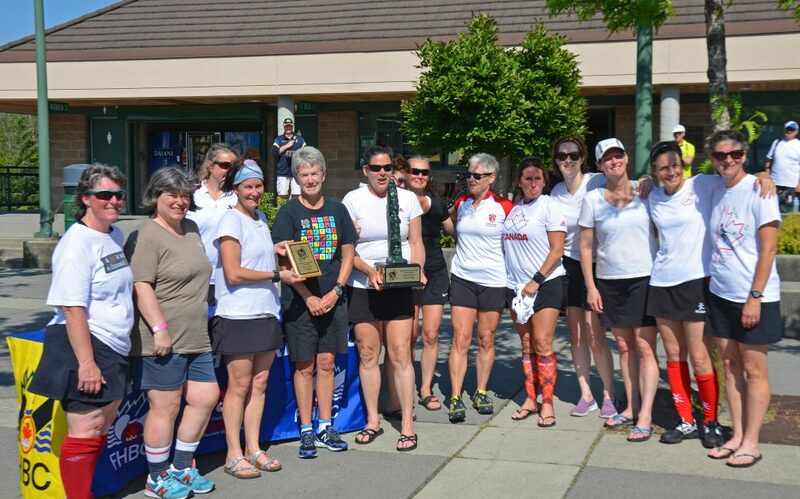 With the upcoming National Championship Festival taking place in Ontario this year, Wheatley is excited to travel with the team and have more of a bonding experience than at last year’s National Championship which was local for most of the Team BC athletes. Jagjot Hayer was an offensive standout for the Raptors at the Train 2 Train Festival, with his playmaking from the center midfield and his explosive runs down the side. Hayer describes himself as a player who likes to make runs and beat several defenders, but also make good plays to his teammates. “If I tackle the ball from someone and I see three or four people in front of me I might try to beat them, but if there’s a two on one or something I’ll usually pass it off,” Hayer explained. 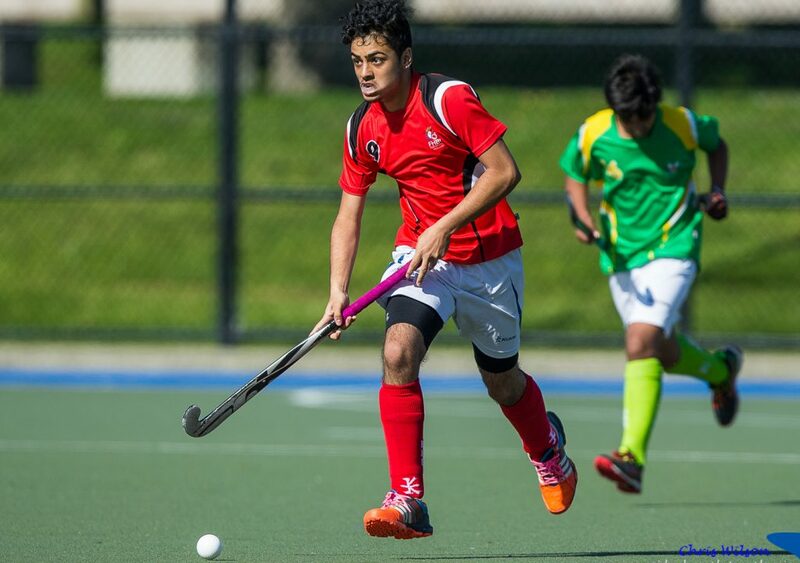 The Surrey native started playing field hockey at six years old and he saw his cousins playing. With his club, the Surrey Panthers, he plays with both his own age group and the U18 boys for more training and extra competition. Hayer has been playing with the older boys for a few years now, which is how he got involved with the Regional Program. When he heard his older teammates talking about their participation in the Regional Festival, he decided to give it a try. Jagjot Hayer – back row fourth from the right – with the Raptors at the 2018 Train 2 Train Festival. In his third year with the Regional Program, this will be Hayer’s second trip to the National Championships playing with the U15 BC Boys Rams. His team last year came in first place at Nationals, defeating Ontario in the Championship game. 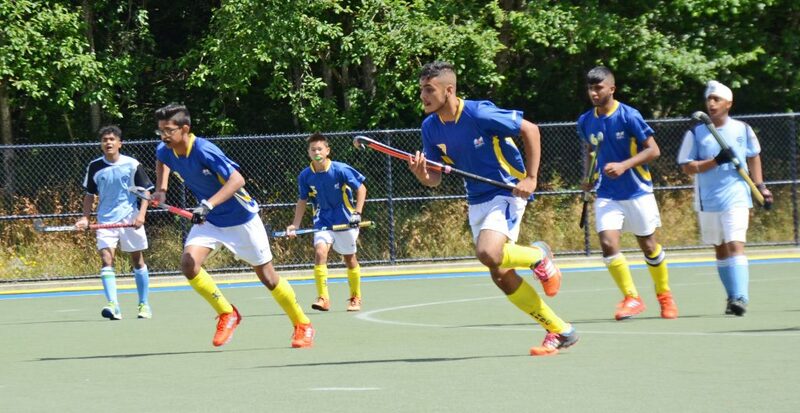 In his final year playing with the U15 age group, Hayer’s goal is to lead his team to another National Championship gold medal, while taking a leadership role and making the players around him better. In the long term, he hopes to play for Team Canada one day. We are excited to follow both Wheatley and Hayer through the Provincial season as they work towards bringing home a second consecutive gold medal for the U15 Boys! 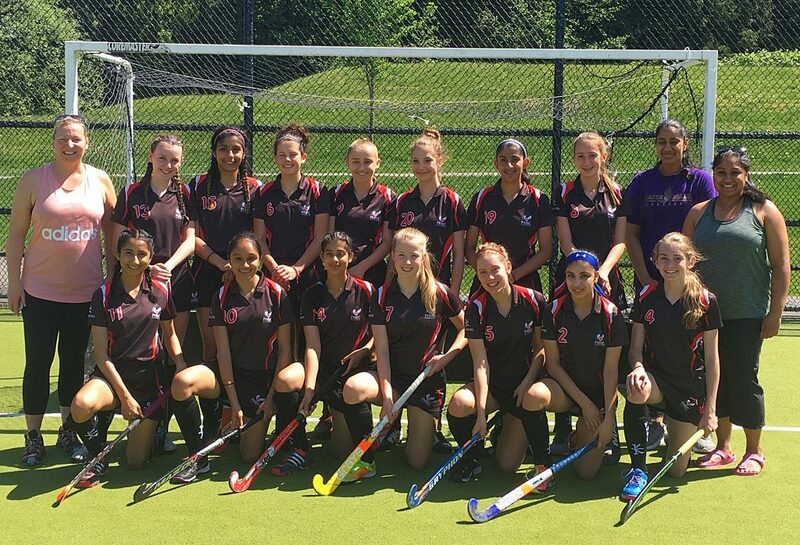 Field Hockey BC is excited to host our second Regional Event of the season, the U15 Train 2 Train Festival, from May 4-6 at Tamanawis Park, Surrey. This festival consists of three boys teams and nine girls teams between the ages of 12 and 15 from all over British Columbia. Over the past several months, these athletes have been working hard within their respective Regional Programs in preparation for this event, which will ultimately decide who is selected to represent Team BC at the National Championship Festival in July 2018. Both the boys and girls will play a round robin format, with the boys teams’ playing four games each over two days and the girls teams’ playing six games over three days. Want to keep up with the action? 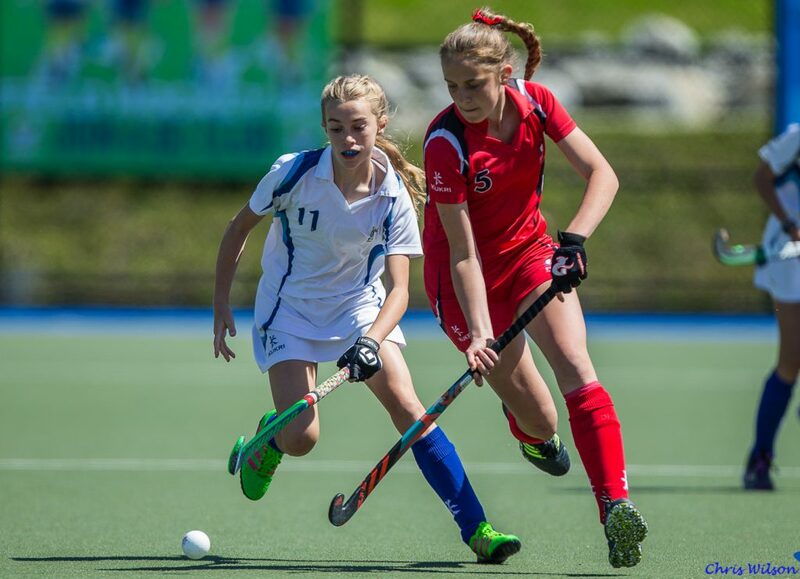 Live scoring and updates can be found all weekend at https://fieldhockeybc.altiusrt.com/. 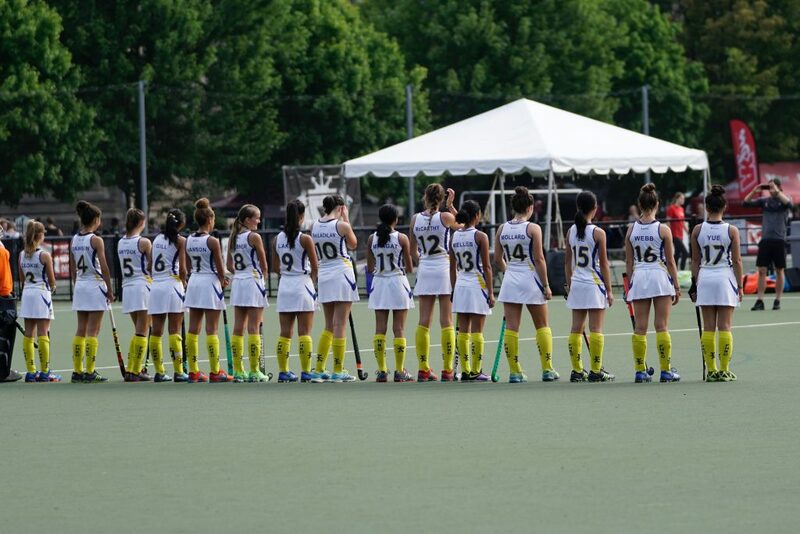 You can also find updates, photos and more festival content by following Field Hockey BC on Instagram, Twitter and Facebook. 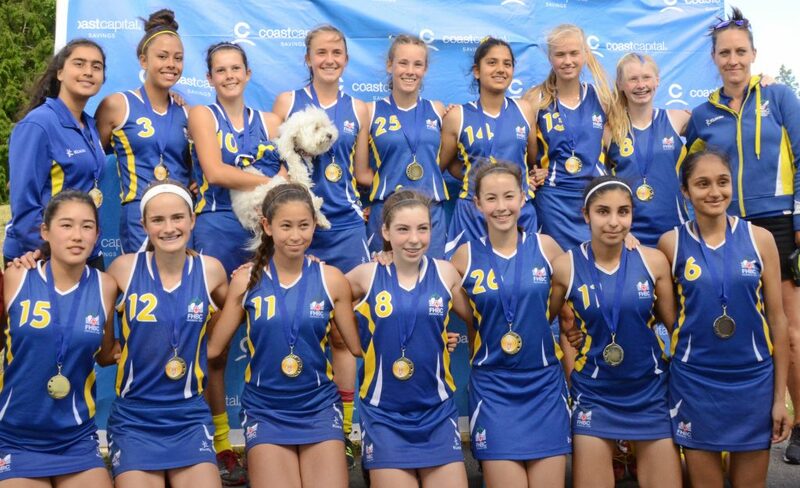 We hope to see you supporting our U15 Regional athletes this weekend at Tamanawis Park!